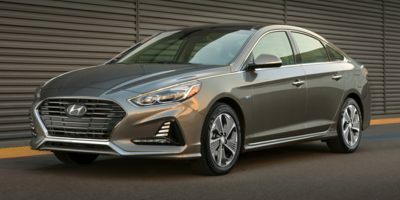 The 2019 Hyundai Sonata Hybrid is a 5 passenger Automatic transmission, 4-door Mid-Size Passenger Car. It is available in 2 trim packages, the Limited, and SE. The new Hyundai Sonata Hybrid invoice price ranges from $24,490 to $29,367, while MSRP ranges from $25,750 to $31,300. The 2019 Hyundai Sonata Hybrid is available in 7 exterior colors, Astral Blue, Cosmopolitan Red, Hyper White, Ion Silver, Metropolis Gray, Nocturne Black, and Skyline Blue, and 3 interior colors, Beige, Emerald Blue, and Gray.